GIFTS FOR MEN: THE ATHLETE | muted. When it comes to buying gifts for athletes, all of the usual suspects (alcohol, candy, wine etc.) are off the table. So how do you go about finding a gift that is fun and exciting, yet still in keeping with a fitness theme? Well actually it’s probably easier than you think! In our Gifts For Men: The Athlete Gift Guide we’ve compiled a list of products that make the perfect gifts for the athletes in your life. If you know someone who is trying to get in shape or who wants to take their fitness to the next level, then the Apple Watch ($349+) might just be what the doctor ordered. The Apple Watch comes with fitness and activity apps, plus you can get additional third party apps that customize to your exact workout. Apple’s activity app gives you a snapshot of you daily fitness level at glance. Its three rings show you everything you need to know – the move ring shows you how many active calories you’ve burned. the exercise ring shows you minutes of brisk activity and the stand ring shows you how often you’ve stood up throughout the day. The Fitness App can track a multitude of workouts including walking, running, cycling, elliptical, rower, and stair stepper. 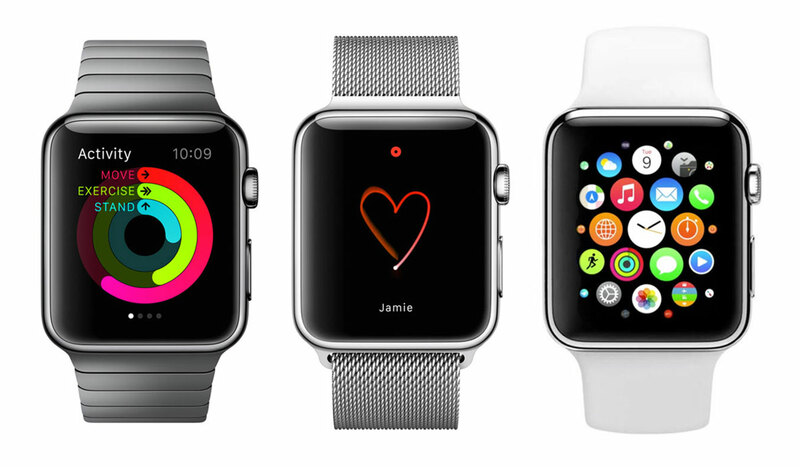 Just set you goal as a calorie count, distance, or time and the Apple Watch does the rest. 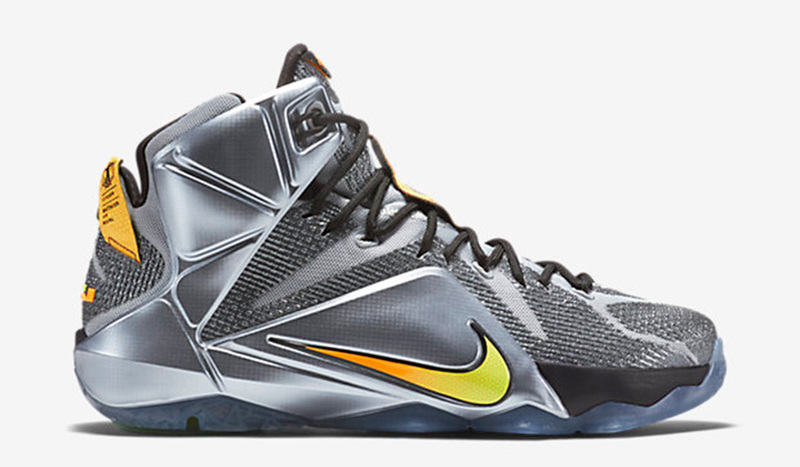 If you’re buying for a basket baller, the Lebron 12 men’s basketball shoes by Nike are sure to tick all the boxes. The lightweight design allows for optimal performance, whilst the ultra-responsive cushioning ensures players remain comfortable throughout the game. The Lebron 12s are made from breathable fabric and come in four different designs, with something to suit all players. Help them heighten their performance by equipping them with world-class footwear. Rowing has proven to be one of the best all body workouts you can get. An hour of intense rowing can burn 800-1000 calories. 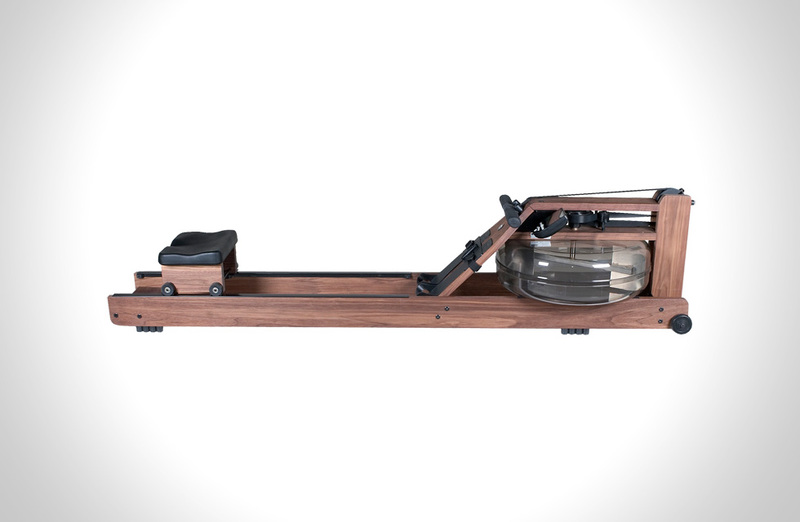 One of the best rowers you can buy is the Waterrower ($1160). The Waterrower is a handcrafted rowing machine with a water flywheel that replicates the actual feel of rowing in water. The flywheel is enclosed in a water tank which provides a smooth, quiet, self-regulated resistance workout. Meaning the harder you pull, the more resistance you receive. The Series 4 performance monitor includes all the information you need to effectively track your workout, including intensity, stroke rate, heart rate, and much more. Another great feather is when you’re not using the rower, it can store upright against a wall out of the way. So it’s great for small apartments. The Jaybird Bluebuds X Sport Bluetooth Headphones ($125) are probably one of the highest rated sport Bluetooth Headphones available. 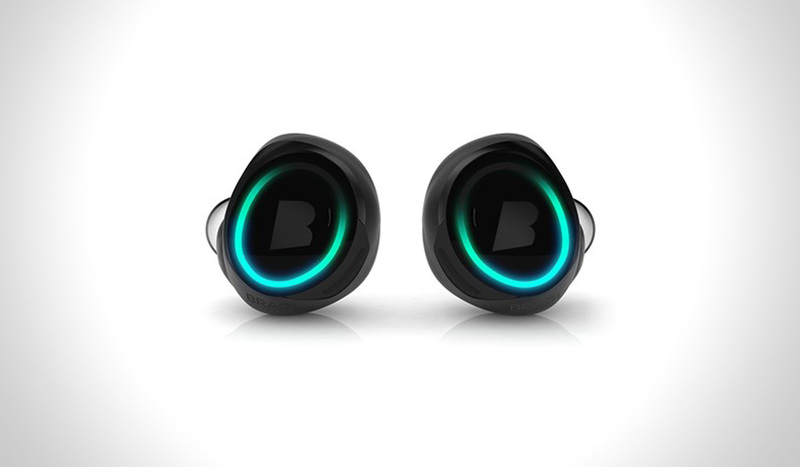 When fully charged the Bluebuds will get you up to 8 hours of play time. By using their own version of the SBC codec, Jaybird delivers clear precise audio which is on par with wired audio performance. Also the PureSound in-ear white noise and listener fatigue reduction eliminates white noise and delivers clean audio. You can use the Bluebuds for music and phone calls, and it comes with different sized ear inserts, to make sure you have a secure fit. “The Men’s Ghost Whisperer Down Jacket ($320) by Mountain Hardwear may be known as the world’s lightest full-featured down jacket but it doesn’t actually have any traditional down in it. 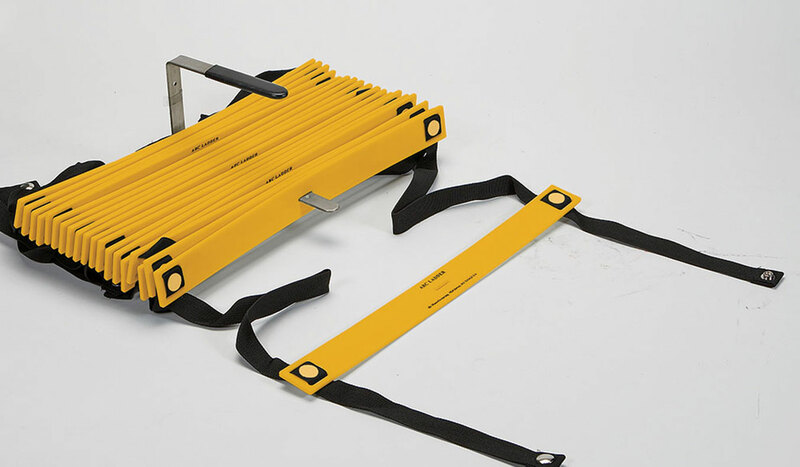 Instead, it uses innovative fibers knowIf you want to improve agility, balance and coordination, then you need the Perform Better ABC Agility Ladder. This ladder is 10 yards long and 16′ wide. It is made form sturdy plastic rungs that create 19 squares. You can use the ladder for walking, running, and hopping drills to improve all of your proprioceptive abilities and extremity functions. 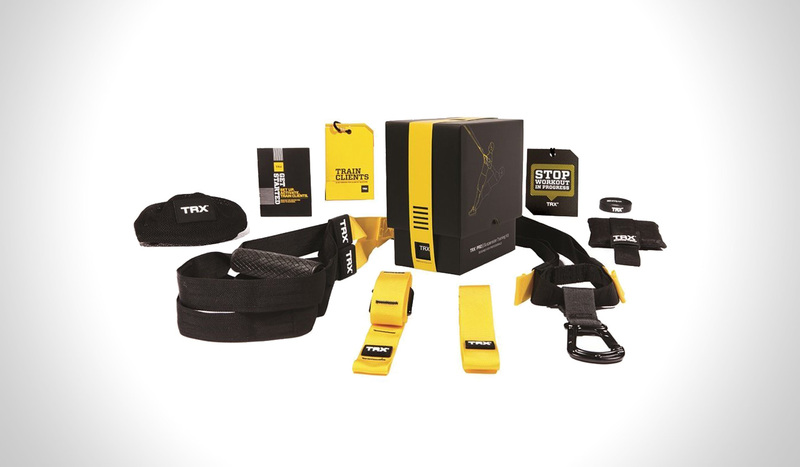 The TRX Pro Suspension Training Kit ($250) trains your entire body using a combination of variable-resistance bodyweight training, elements of instability and multiple planes of movement. The TRX weighs less than 2lbs., and can be stored in small spaces. Even if you’re a big boy, up to 300 lbs., the TRX Pro will work for you. Additional features include easy to clean rubber handles, locking carabiner, three different types of anchors, five pre-made workout cards and all-new Trainer Basics video. 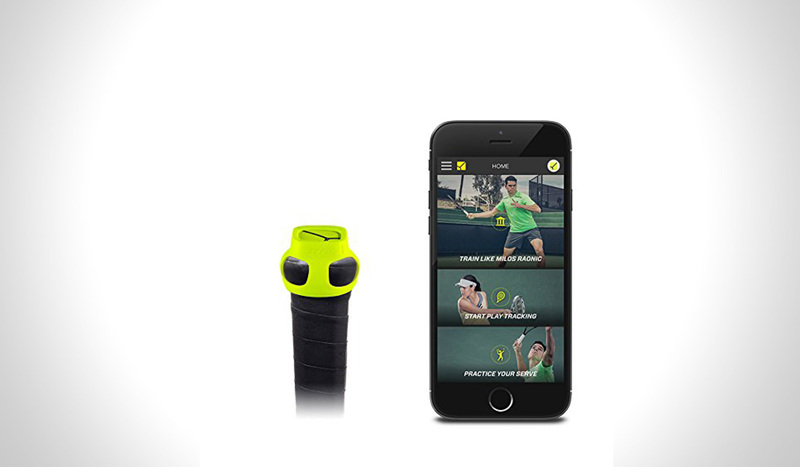 The Zepp Tennis Swing Analyzer ($150) may make tennis instructors obsolete. Zebb 2.0 analyzes the intensity, consistency, and power of your match play. It takes a look at every shot and tells you exactly where you’re making contact on the racket. Zepp is easy to use. Just attach it to the handle of any tennis racket and it wirelessly sends data to your smartphone or tablet. 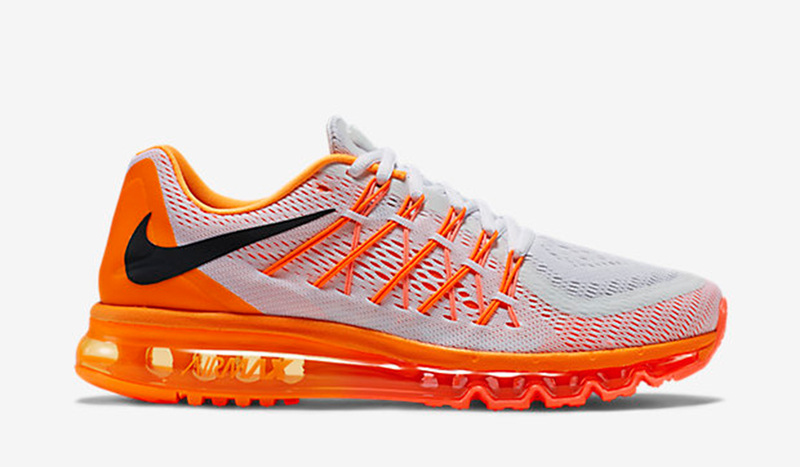 The Nike Air Max 2015 trainers will make an idea gift for a runner. With flexible cushioning, breathable comfort and a supportive fit, they’re everything you would look for in a men’s running shoe. In addition to their functional design, the Nike Air Max 2015 running shoes are also available in a number of different colors including a rather striking florescent orange and yellow, white and blue, white and black, green and grey and more color options too. It can be really frustrating when you’re trying to listen to headphones while training or out on a run, only to find that your earphones keep falling out and getting tangled. Thankfully The Dash Wireless Earphones make listening to music easy and care free when working out. These earphones are the world’s first completely wireless earphones, offering freedom of movement, excellent comfort and quality sound. Simply connect them to an iOS, Android or Windows Phone device and you’ll be good to go. 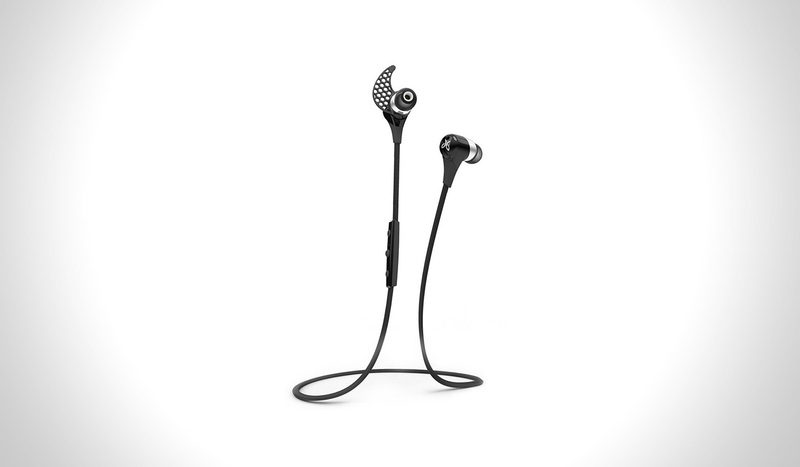 The Dash Wireless Earphones are available for pre-order and will be shipped in September 2015. “Now these are a pair of socks they won’t mind receiving as a gift, especially if they’re into running and fitness. 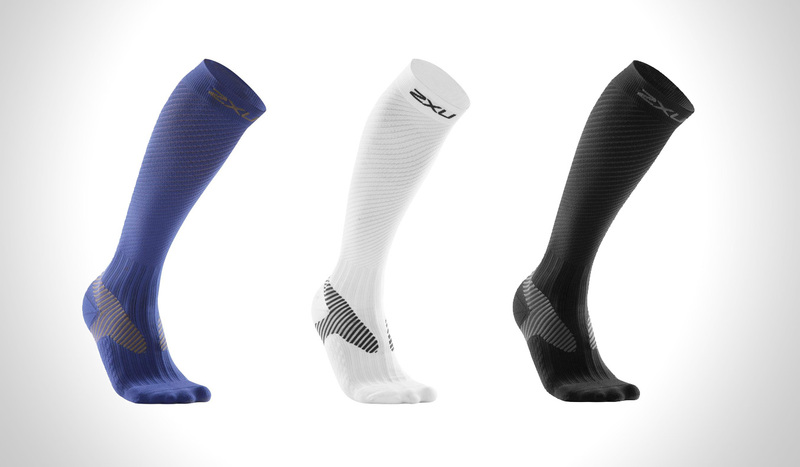 The Men’s Elite Compression socks by 2XU are designed to assist athletes in improving performance and also as an aid to speedier recovery. With strategically located fabric areas, they ensure the best venous return and muscle usage in lower parts of the leg. They’re ideal for reducing fatigue and muscle soreness and will allow for maximum power. If you’ve got to buy socks, make sure it’s these! 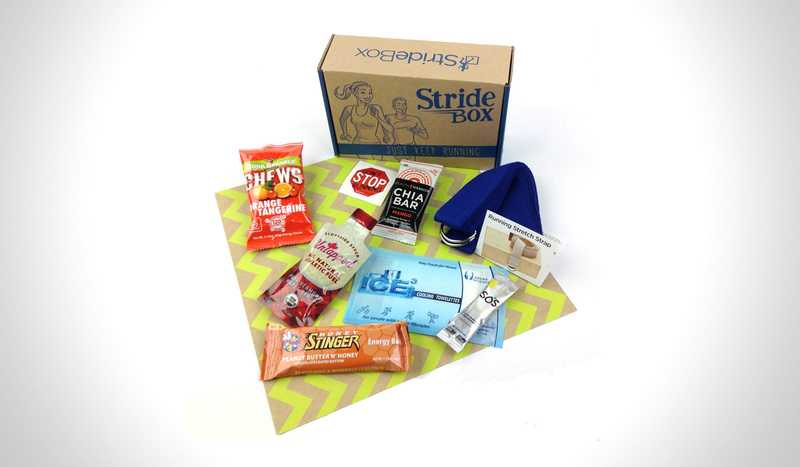 Did you know that there is a specialist subscription box service for runners? It’s called StrideBox and it offers a fun and exciting way to discover running products and accessories. Each month members are sent out a curated box featuring apparel, accessories and nutritional products, designed to help with their training, workout sessions and races. If you’re looking for the perfect gift for a runner, a subscription to Stridebox ($15 per month) will give them something to look forward to each month and makes a unique and thoughtful gift. Few athletes have the money to hire their own personal trainers but buy them the PEAR Mobile Training Intelligence System and they won’t need one anyway! The PEAR mobile app acts as a private personal trainer, with real-time audio coaching. 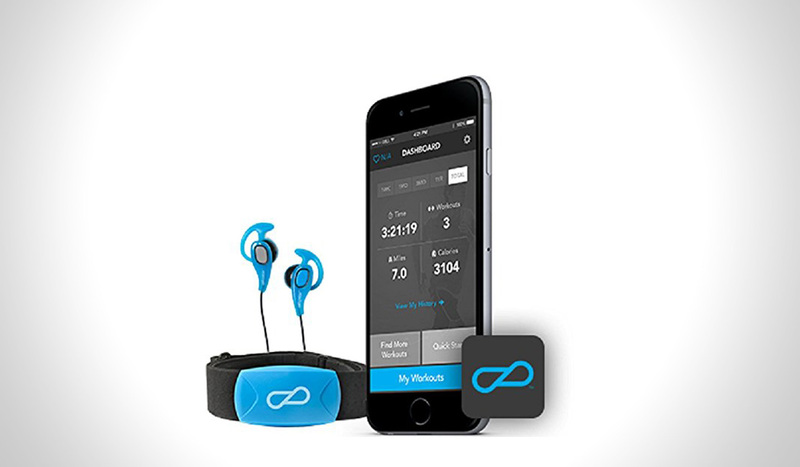 The innovative device is able to measure the athlete’s heart rate and connect with the app to provide personalised coaching based on their performance. There are hundreds of workouts and training plans to choose from and you can even select specific activities like yoga, kayaking and running. If you are looking for the ideal gadget gift for a runner, the TomTom GPS Running Watch will make an excellent choice. 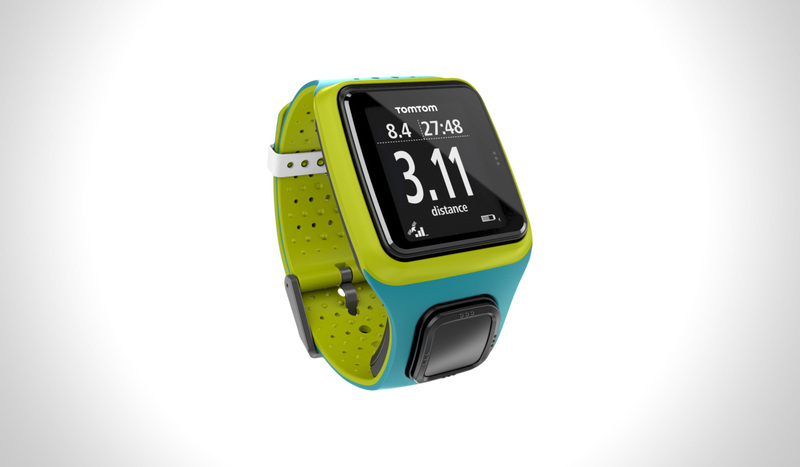 With an ultra-slim design, QuickGPSFix Technology and integrated TomTom MySports mobile app, the TomTom watch will make the perfect running buddy for both indoor and outdoor training sessions. It’s available in three colors, burnt orange, turquoise and dark blue; all purchases come with a thirty day money back guarantee. Do you know someone that’s always loves working out? Give them the power to work out any time, any place with the TRX Suspension Trainer. All they need to complete a comprehensive workout session is a door, pole or tree branch, which they can attach the Suspension Trainer to. It has all the power and capabilities of a home gym but comes neatly packaged into a small fanny pack sized bag. 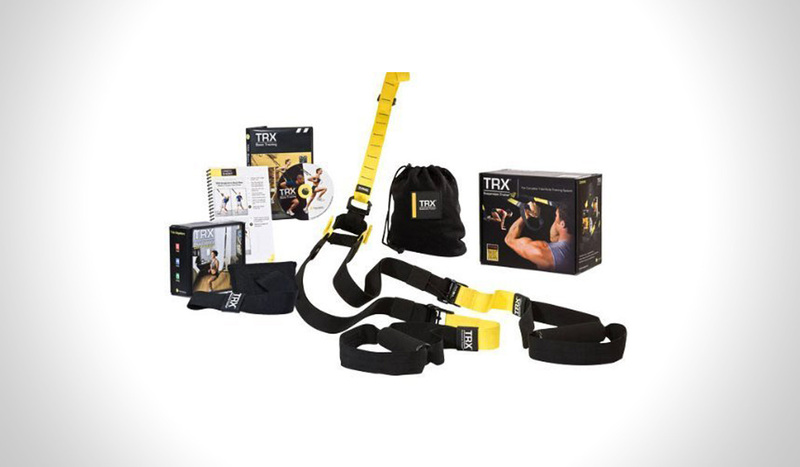 The TRX Suspension Trainer kit includes a door anchor, storage bag, two bonus workouts and a 65 minute basic training DVD. Illustrated instructions can also be found inside the DVD sleeve which ships with the product. 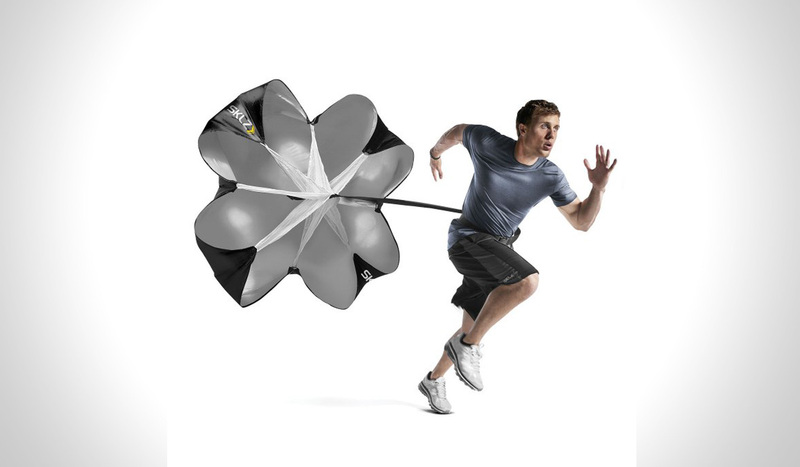 Help your athlete friend improve their speed and performance with the SKLZ Speed Chute. This resistance sprint trainer is designed to encourage athletes to work harder by making it more difficult for them to run. The Speed Chute has a 54” diameter provides around 15 – 30 lbs. of resistance. It may sound like an odd thing to buy someone but trust us; they’ll love it! There is also a speed chute pro option which retails at $49.99 and is for the most committed of athletes only!